Description: A quick strike dealing weapon damage plus magical damage. Also grants Zeal, allowing mana regeneration when dealing or receiving damage for 10 seconds. Also reduces all damage taken by 7% for 10 seconds. Stacks up to 10 times. Note: Deals 138% weapon damage on impact. Description: Heals a friendly target for a moderate amount. Heals yourself and two friendly targets for a moderate amount. Description: A light based ranged attack, high damage against undead enemies. Hits up to 3 targets. Note: Deals 122% weapon damage to non-undead enemies. Deals 306% weapon damage to undead enemies. Description: Deals damage to all enemies in range and applies Blinded, reducing enemy haste hit chance by 50% for 6 16 seconds. Note: Despite the description claiming to damage all enemies in range, this attack can only hit up to 4 targets in the room. Type: Passive: Small chance to activate on melee swing. Note: Actives 'Divine Recovery' Heal-over-Time effect. Lasts for 10 seconds and provides a massive heal amount based on weapon damage, also reduces damage taken by 100% for the duration of the heal. Description: Paladins are the honest and good protectors of… GOOD and GOODNESS! Description: A quick strike dealing weapon damage plus magical damage. Also grants Zeal, allowing mana regeneration when dealing or receiving damage for 10 seconds. Description: Heals a friendly target for a moderate amount. Description: A light based ranged attack, high damage against undead enemies. Description: Deals damage to all enemies in range. Description: A vengeful blow that deals 120% of weapon damage. Description: Causes a friendly target's next 5 attacks to heal them for 5% of the damage done. Description: (NYI - single target) Deals weapon damage to all enemies on screen. Description: (NYI, self only) All attacks have a chance to restore 2AP to All party members for 10 seconds. Required to access the Artix's Shop (2). 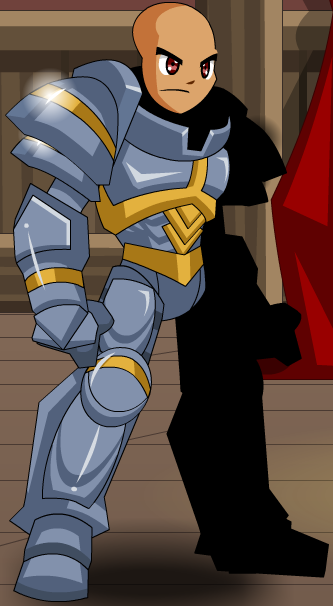 This class has the same skills as Silver Paladin. List of all Paladin Armors.